The life span of a honey bee depends on various factors. Worker honey bees have a life span of only six weeks during honey production seasons, when they are extremely active foraging for food, storing nectar, feeding larvae and producing honey. However, the death of a generation of workers does not cause the entire colony to perish. The life span of a honey bee colony depends upon the survival of a variety of bees within it. If only the queen lives, for instance, a colony cannot survive, as she cannot produce honey or pollinate flowers on her own. 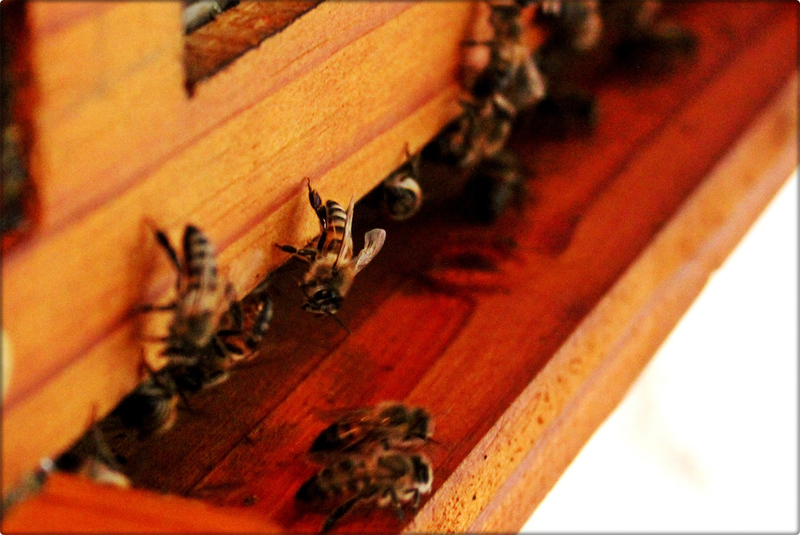 A honey bee colony is an organized society of three adult castes: queens, workers and drones. Each caste has certain responsibilities to the preservation of their hive. Queens, who are responsible for producing and laying eggs, live for an average of two to three years, but have been known to live five years. Domesticated honey bee queens may die earlier, as beekeepers “re-queen” the hives frequently. A single queen lays thousands of eggs throughout her life. Queens produce unfertilized eggs that hatch into drones, or male honey bees. The main purpose of a drone is to mate with the queen, and their life span relates directly to this task. If a mature drone successfully mates with a queen, he will die soon after the mating flight. If he is unsuccessful in the mating flight, the drone will be ejected from his hive at the end of the active summer season and will eventually die of cold or starvation. Worker bees are the smallest members of the colony, but have the largest number of individuals: a hive can contain 20,000 to 80,000 workers. The life span of worker honey bees ranges from five to seven weeks. The first few weeks of a worker’s life are spent working within the hive, while the last weeks are spent foraging for food and gathering pollen or nectar. The life span of the honey bee is also determined by pollen consumption and protein abundance, as well as the honey bee’s level of activity. Queens, who spend their lives laying eggs inside the hive, could live for several years; workers who labor during busy seasons cannot survive as long.